HSBC Group has around 750 offices in 87 countries and territories across Africa, Asia, Europe, North America and South America and around 100 million customers. 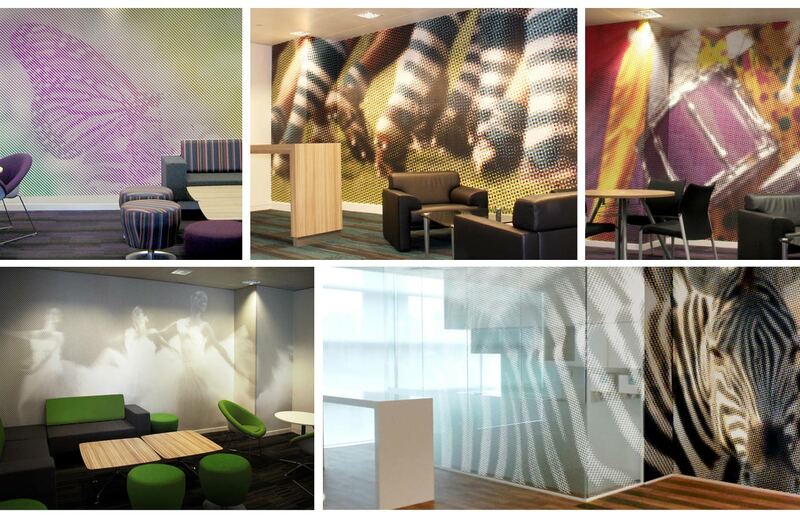 We were tasked with creating a global environmental graphics scheme which could be applied to all HSBC workplaces worldwide to create a unified look and feel. 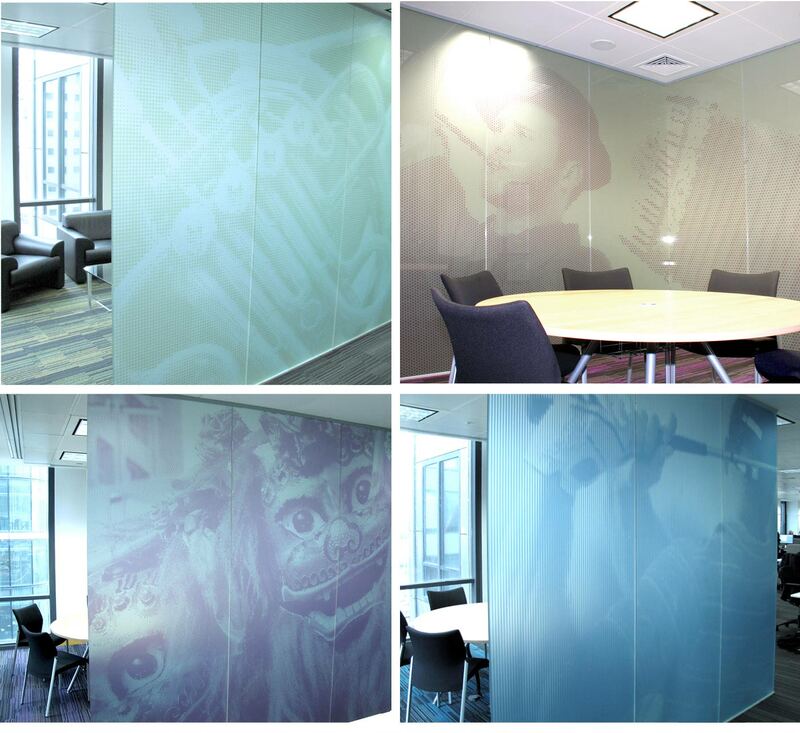 The graphics system was to reflect the strategic direction and corporate values of the group across a range of functional areas, from data centres to executive offices, meeting rooms and general offices to breakout areas and kitchens. The overall result is a distinctive interior and recognisable look and feel that enhances the workplace and has flexibility to achieve appropriate moods for different types of environments, and at the same time accommodate cultural differences within diverse office locations globally. Our solution involved us creating a system comprising different design elements which could be combined in various ways to create a wide range of environmental elements. Running through all the elements, tying the whole scheme together is a 5-strand ribbon – a pre-existing graphic device representing the global, unifying reach of HSBC. The system consists of palettes of colours, image types, image treatments, container shapes and patterns or textures. All the palettes are inspired and informed by the HSBC Group values of openness, connectivity and dependability. Images are given a stylistic treatment to add further interest and the shapes are filled with different patterns and colours to create a distinctive and recognisable signature style. We created a detailed manual for the global marketing teams explaining the strategic background and rationale for the scheme, and outlining how to apply the same rationale to create their own appropriate environmental graphic and image libraries, within defined parameters, at a local or regional level.